Another regular customer visited at the end of last week, over the years we have supplied keys, locks and serviced many locks for Mylor yacht harbour intially the call was for a wooden door that leads into the stock room, the wooden door concerned uses a multipoint lock that you will find in almost every upvc door fitted. New Maco gearbox removed and new one fitted! 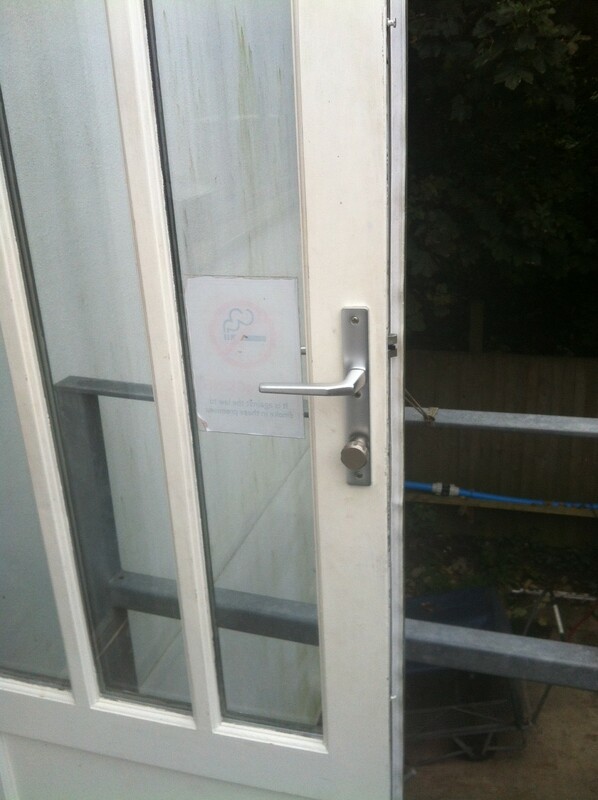 I say intially it was for the store door but we ended up changing the mechanisms leading to the store, one of the upstair office blocks and also Mylor chandlery all of which were starting to give problems mainly due to the harsh environment which the locks are situated in. Basically the maco lock mechanisms were stripped from each door and the centre gearbox was replaced, the locks were then refitted, lubricated and tested. Final adjustments to the actual operation were then made to ease any tightness in operation. 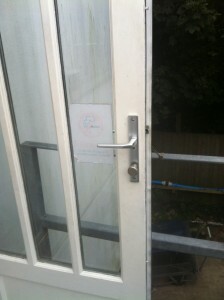 This tightness in operation is normally caused by movent in the door i.e door has dropped. This inturn cause additonal stress on the mechanisms when trying to lock them and if often why the locks eventually fail!! 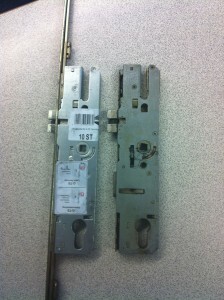 New lock installed and door ready for adjustment! So my advice is if you have a wooden door or upvc door that you find stiff to operate and difficult to lock then rather than waiting for it to completely fail, get it serviced and adjusted, it will often save a more expensive job of replacing a whole locking mechanism. The key machine offers a full locksmith service for just this type of job, we service door locks fitted to wood, upvc, metal and even composite doors. Our locksmith service covers all the major towns including Truro, Redruth, Penzance, Hayle, Camborne, Falmouth, Helston and the surrounding areas in Cornwall.